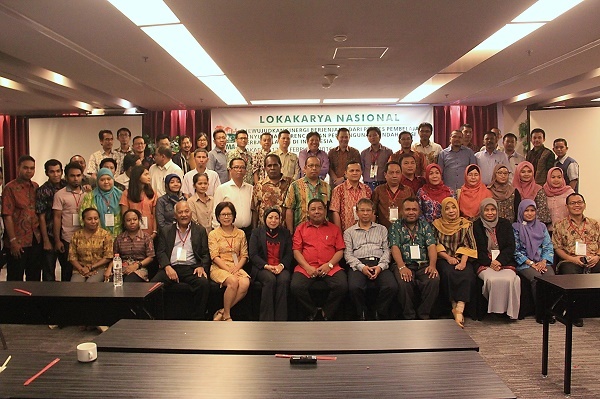 Locally Appropriate Mitigation Actions in Indonesia (LAMA-I) is a four-and-a-half year project under the coordination of the State Ministry of National Development Planning (BAPPENAS). LAMA-I is implemented by the World Agroforestry Centre (legally constituted as the International Centre for Research in Agroforestry/ICRAF), Deutsche Gesellschaft für Internationale Zusammenarbeit (GIZ) and Centre for Climate Risk and Opportunity Management in Southeast Asia and the Pacific (CCROM SEAP IPB), with support from the Danish International Development Agency (DANIDA) under the Environmental Support Program (ESP 3). 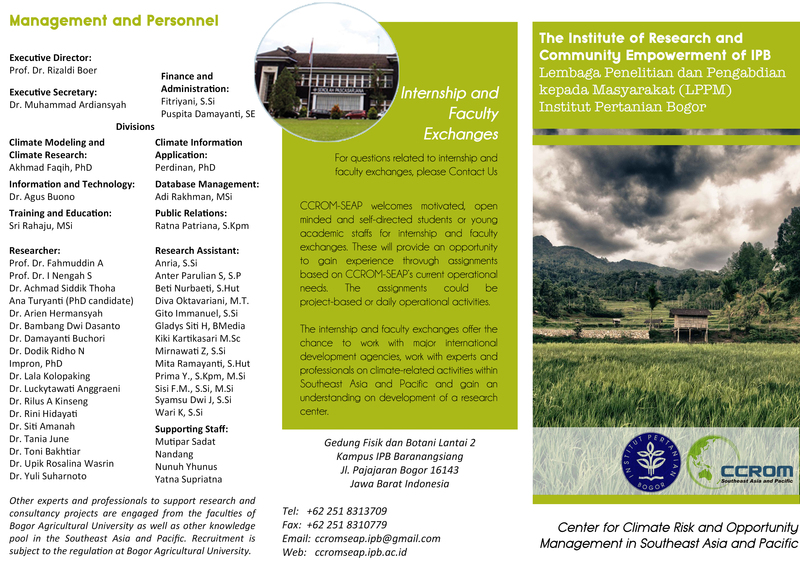 The program which started in June 2013 has an objective to support key local governments to have the capacity to develop integrated low-emissions development plans as part of Indonesia's nationally appropriate mitigation actions. This program has been successfully implemented the activities in six districts of two provinces, namely Jayapura, Jayawijaya and Merauke districts of Papua Province, and also district of Musi Rawas, Musi Banyuasin and Banyuasin of South Sumatera Province. 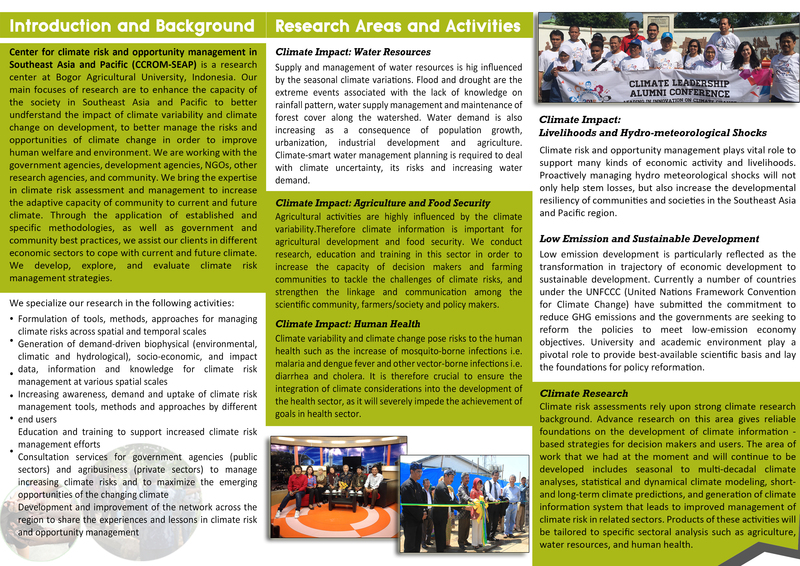 Component 4: Coordination and project management, includes project inception and annual planning, reporting, communication with donor and other stakeholders, overall project strategy and communications, and database and publication management; which handled also by ICRAF.